This is part seven in our ongoing series, Journey to $100K a Month. 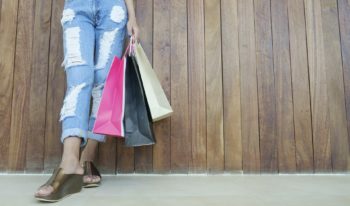 We had just started working on the first post in our new blog series, and over lunch, I was excitedly telling my friend – a fairly well-known entrepreneur and blogger – about this latest development. When I pressed him on why he did that, it became clear that his inbox was simply too crowded with people he didn’t know wanting his help…for free. Over the next 20 minutes, my friend changed nearly everything I thought I knew about reaching important people. Forget your “promotion” strategy, and focus on engagement and building real, mutually beneficial relationships, before you need them. I know it sounds fluffy and buzzwordy, but let’s take a look at exactly how we’ve been able to apply this concept to our blog and get more than 5,000 subscribers in just five weeks of publishing. 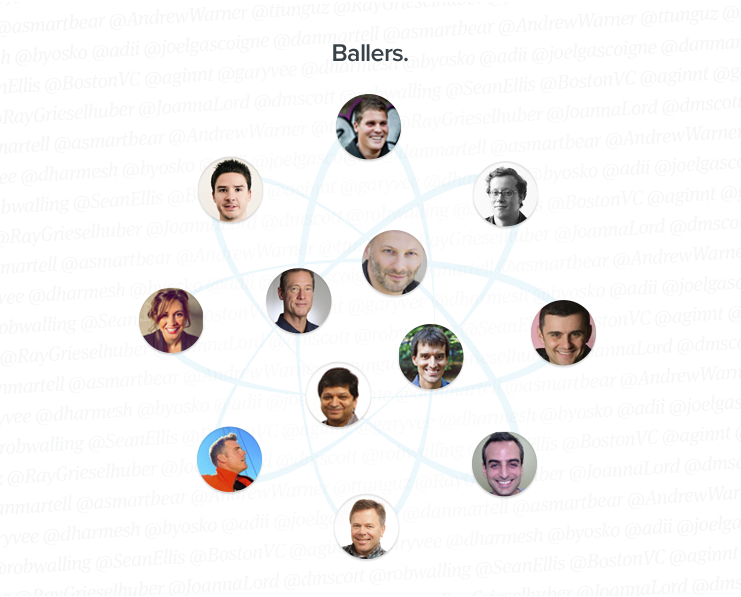 Four weeks before we launched the blog, we began to put together a list of our “target” influencers. Who do we want to build relationships with? This seems obvious, but the more I spoke with influencers, the more I learned about how many non-targeted email pitches they get. 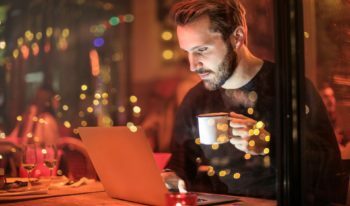 One customer service blogger told me about a message he got asking to share the sender’s new post about freelance bookkeeping tips. Targeting people with whom you have nothing in common is, at best, a waste of both of your times. Influencers have spent a lot of time and money building a reputation with their audience. Why should they waste it sharing your crappy content? This is just another reason to focus on making content as high-value as possible; not just to help your readers personally, but to give them a reason to share. We only wanted to reach out to influencers who could get value out of reading our content (and applying our strategies to their own business), or out of sharing it (by building social capital through sharing new, helpful ideas with their audience). Takeaway: Influencers hold the keys to the readership kingdom, but engagement doesn’t start with a pitch. Make a list of people who it’s possible to build relationships with that would benefit both of you. What do I want for Groove’s content? Ultimately, of course, I want it to grow Groove as a business. But I also want people to get tremendous value out of it. To share it. To leave insightful comments on it. And yes, even to give me internet high-fives. Turns out, I’m not the only one. Every content creator loves to know that their content is making an impact. So I dove deep into our influencers’ content and devoured it, learning an incredible amount in a short time. I got to work promoting all of the great content I’d read on our social channels, and leaving insightful comments and starting discussions on their blogs. 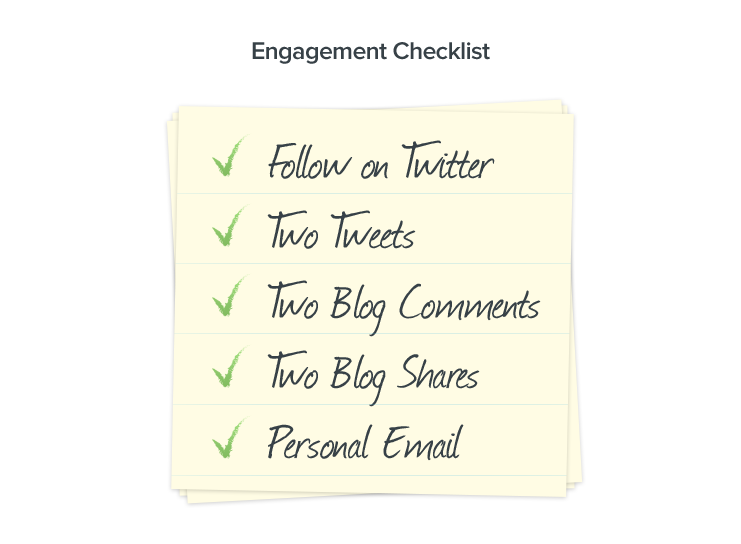 You can find an easy-to-follow template of my engagement strategy here. In a week, I began to build relationships with more than 80 influencers in ways that made it obvious that I read and valued their material. 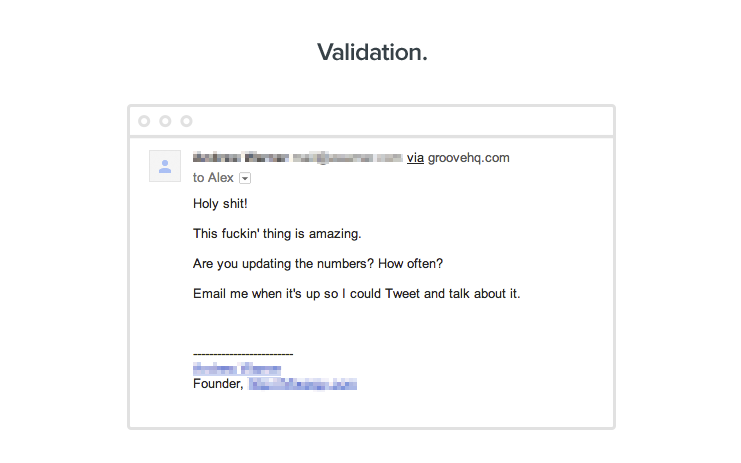 Takeaway: In the end, every content creator wants the same thing: validation that their content is valuable. Find those whose content really is valuable, extract and apply that value, and let them know that you did. I emailed the influencers with whom I’d already engaged with to let them know about my crazy plans for the Journey to $100K a Month blog. The “ask” might surprise you. First, we didn’t just send them a link to the post. We asked for permission to share an exclusive link to the post with them. 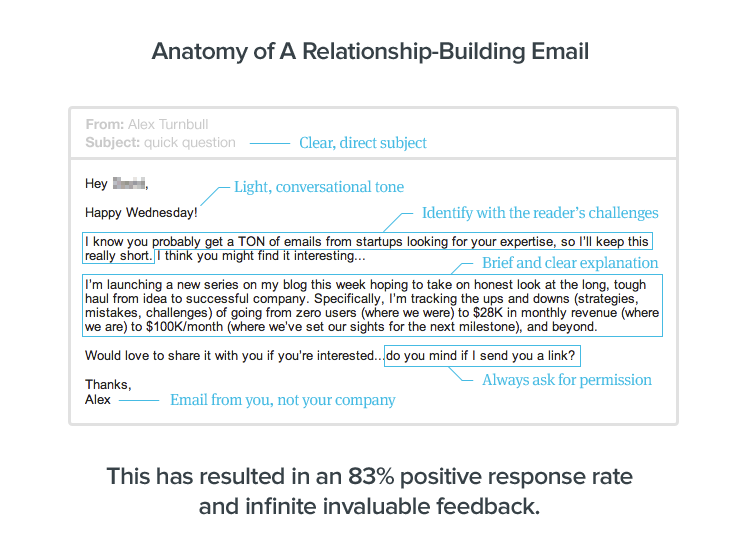 This is a technique that we learned from the brilliant Derek Halpern, and it was incredibly effective: more than 85% of the people we sent the email to said yes! Because we’re not shoving our content in their faces, as most people do. Instead, we’re giving them a very brief synopsis of the content, and asking if they’re interested in reading more. That way, when we do send them the content, we’re no longer making such a huge ask; they were the ones who asked us to share! Second, we didn’t ask them to post our content on their social networks. Why should they? They had no idea who we were yet, and there’s no good reason for them to waste their audience’s attention on us. Instead, we asked them for feedback on the post. It’s a much more benign ask, and more importantly, helped us start real back-and-forth conversations with people. 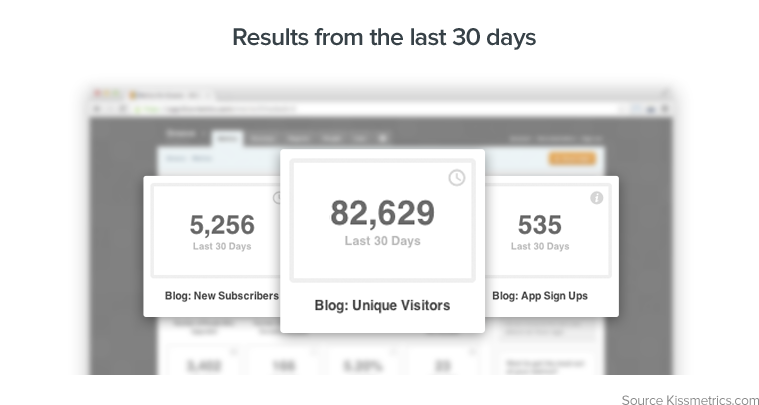 The feedback we got from expert bloggers helped us make massive improvements to our content, and still does. Takeaway: Before you ask anyone to help you grow your business, think about how you can help them grow theirs. Only reach out to people who you can legitimately help, and find a way to make your ask interesting for them. Remember: nobody cares about you until you give them a reason. Because of our early efforts at getting feedback and validation, a lot of influencers were already aware of our upcoming post, and were excited to see it launch. After all, they played a role in making it happen! This gave us a massive advantage when it came to actually promoting the post. About an hour before we published the post, we emailed our influencers and gave them a heads up, and included a small ask. This is where most content promoters start, but for us, most of the heavy lifting had already been done. We were reaching out to people with whom we already had relationships; we weren’t just pitching. 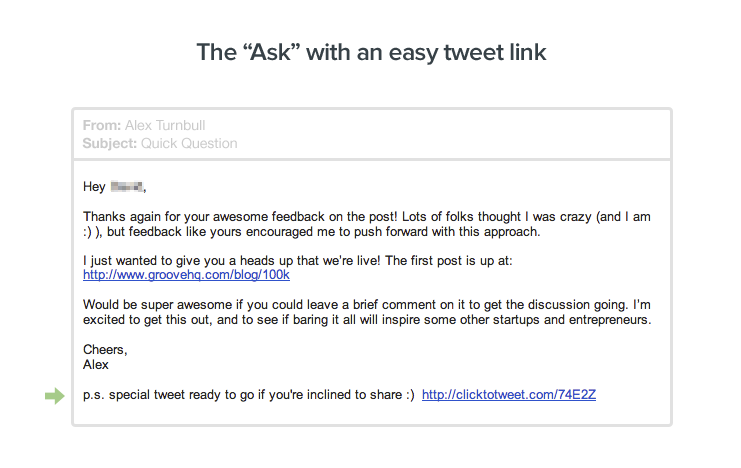 Those who received that link were 52% more likely to Tweet the post! 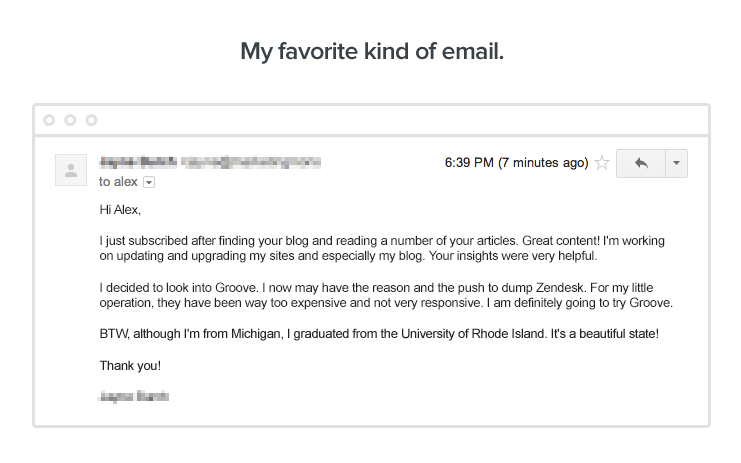 If you’re creating real value for your readers, they’ll want to hear from you. Takeaway: As my mother always told me, you don’t get what you don’t ask for, so ask specifically for what you want. But make it easy for the people you’re asking to deliver, and more importantly, put in the work to build those relationships before you ask. I don’t have data to back this up, but I truly believe that these comments were instrumental in convincing new visitors to read the content. Even though they didn’t know who we were, they definitely knew guys like Gary, Dharmesh and Andrew, and that was validation enough to convince newcomers from sources like Hacker News that our content was worth reading. In addition to the validation of having an active discussion, the comments gave us a great opportunity to engage – again – with each reader who posted. Additionally, we got some incredible feedback on what people wanted to read about in the future. Now, we have 2,500-word posts in the queue inspired solely by reader comments. 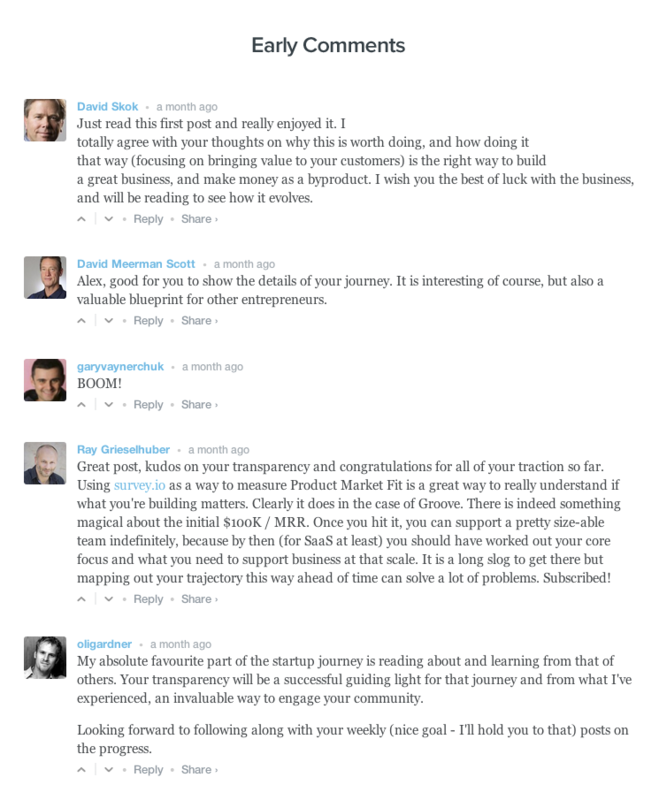 Takeaway: Don’t underestimate the value of comments. 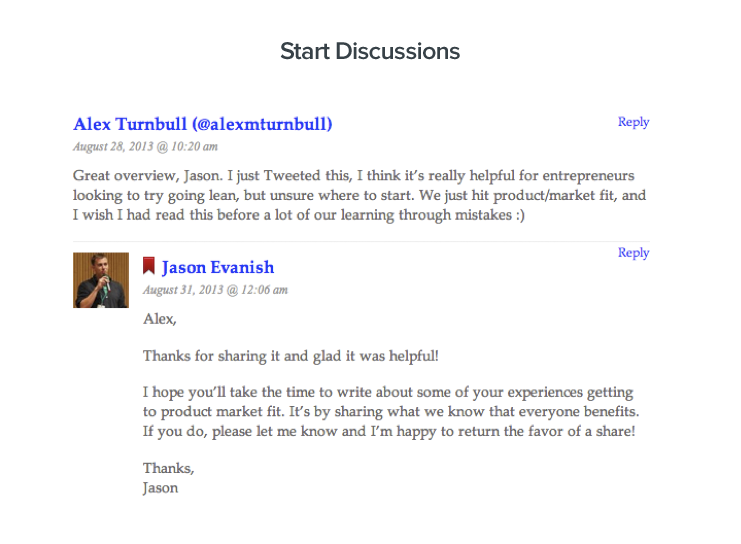 Getting an influencer to comment on your post can be just as valuable as having them share it. If you can, respond to every comment you get: it’s an opportunity to engage that takes almost no time at all (especially in the beginning). Since our first post, we’ve published weekly content for seven weeks, and we have no plans of stopping. Nor do I have plans of stopping my engagement efforts; I’ve said it before: I genuinely learn a ton from reading other bloggers every week, and I continue to comment, share and engage. It’s a process that has allowed me to meet and become friends with some extraordinary people. Of course, you can’t ask (or expect) people to help you every single week. I didn’t want to bite the hands that were feeding us, so I tried a little Permission Marketing. 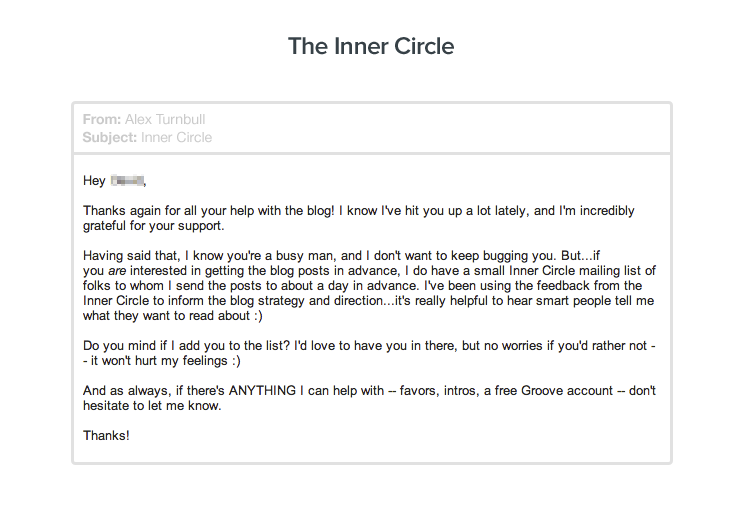 Instead of bombarding my new friends with pitch emails every week, I created an “Inner Circle” – a list to whom I would send new posts for feedback well before they were published. I asked all of the people who had helped me with the blog whether they wanted to join. Surprisingly (to me), nearly 80% of those I asked said that they’d like to be included. The list continues to provide amazing feedback to make this blog better and more helpful to our readers. Takeaway: Feedback from brilliant people never gets less valuable. Find a way to make sure that you keep getting that feedback from those who want to give it to you. We’ve gotten more than 5,000 subscribers and 535 trial signups through our blog efforts. From a revenue standpoint (since that’s what this blog is all about), we’ve generated about $3,425 in transactional revenue, though the real test of how valuable these new users are over time remains to be seen. We’ll definitely keep you posted. There’s also the unmeasurable X-Factor in all of this: authority, thought leadership, brand awareness, whatever marketing buzzword you want to assign to it, it’s a difference we can feel. The same people we used to go to for guidance are now asking us for advice. I’m getting interview requests and speaking engagements. All of this helps Groove grow. 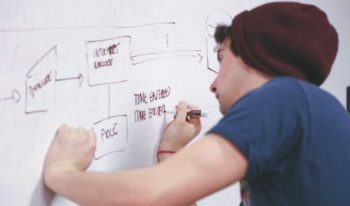 We still have a number of approaches we want to test, and dozens of ideas in the pipeline. We’re talking to potential syndication partners, exploring guest blogging opportunities, and looking at other media (for example, video) for delivering our content. We’ll be sure to let you know how it works out. In next week’s post, we’ll cover a growth issue that we’ve been struggling with for quite some time: hiring. While some challenges still remain, we’ve been able to overcome quite a few of them. How I was able to recruit top talent at an early stage, without big investors. The job posting A/B test that nearly doubled the number of qualified applicants. Strategies that have worked for us to build a company culture with a (mostly) remote team.